After the absolute batastrophe that was the PC launch of Batman: Arkham Knight, Rocksteady – along with Nvidia’s quality assurance team – have been working tirelessly to fix the beyond terrible port. It looks like that could be soon, according to a short note on a press release about the DLC, which they have also been working on tirelessly by the looks of it. I got Batman: Arkham Knight bundled with my GeForce 970 GPU, and I couldn’t even get through the opening scene it stuttered so much. Hopefully the fix will bring it up to standard, because even after the last patch my system struggles. My rig can run The Witcher 3 and Mad Max – which is a cracking port, by the way – on maximum settings, but GeForce Experience suggests I run Batman on its middle setting will all the flashy stuff turned off. The note in the press release stated the following:”The PC version of the game will be available in the coming weeks.” It’ll be interesting to see if anyone still cares. 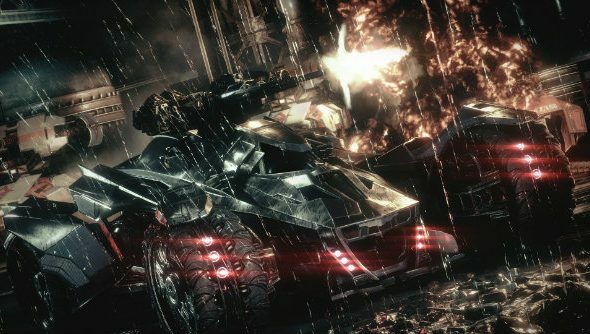 Fraser took a look at the interim patch, saying that Batman: Arkham Knight is finally playable, but it’s far from optimised.